A change is as good as a holiday and you might as well do both in the sunshine. 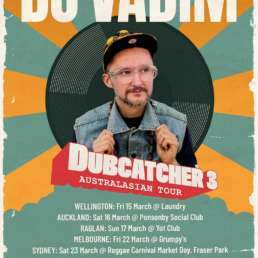 Plus a knowledge that what he was finding was the ‘business’, could be some of the thinking behind the DubZealand compilation, a selection of tracks put together by frequent summer visitor to Aotearoa, Jstar, with a bit of help from his mate Dr Cat. 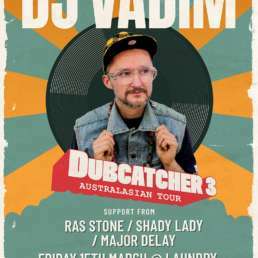 Having turned up at this end of the world to regularly avoid the northern winter with his bag of mashed up reggae hip-hop goodness, sleeping on a few couches and chilling in cafes up and down the country, all between liberally dosing crowds with his bass response of the moment, Jstar has picked up on the local vibrations that sit in tune with his musical way of thinking. Keeping his ears open, and paying some attention to the sounds that come his way and the people he has met, DubZealand has come together into a tidy selection of like minded dubbed out sound. Reflecting his own perspective as a studio producer, the majority of what has been selected fits within the realms of bedroom production. It pulls live acts like the Black Seeds or Sola Rosa back into the studio to be represented by, in their respective cases, a dub and a remix. This sits alongside the smoked out weirdness of, for instance, Jefferson Belt, whose frankly alien ‘The creeping t’ings of the earth‘ is at the very centre of DubZealand. Designed to introduce the rest of the world to Aotearoan bass culture, Jstar does a pretty good job pulling together a diverse selection that fits into his idea of what a good compilation sounds like, and if you happen to share in his taste which favors the 21st century and a dancefloor that moves, then you’re in luck because this one pumps the technology…tricknology..studio production to the forefront. Pitch Black happily sit alongside some Katchafire put through the Joost Langveld and Roger Perry filter, and the whole thing bubbles along very nicely. Outernational visitor Deadly Hunta guests for Rhombus in Dub and International Observer pulls remix favors from the underground world music re-processings of Bombay Dub Orchestra. 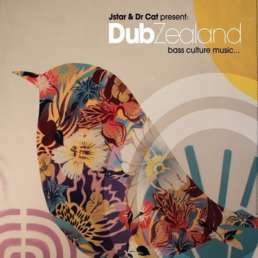 Like it says on the front of the packet, ‘Bass Culture Music’, and if that is what you’re after, DubZealand delivers on the groove. 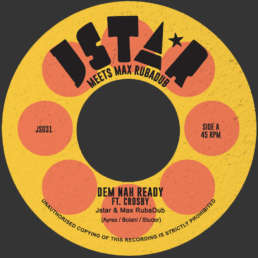 Meanwhile when it comes to the thanks and praise, invocation of the most high, conscious sound rests between Jefferson Belt and the album closer from Jstar and Dr Cat with their Blessting which may leave the roots out in the cold, but then DubZealand is about what a visitor has found in his summers here.